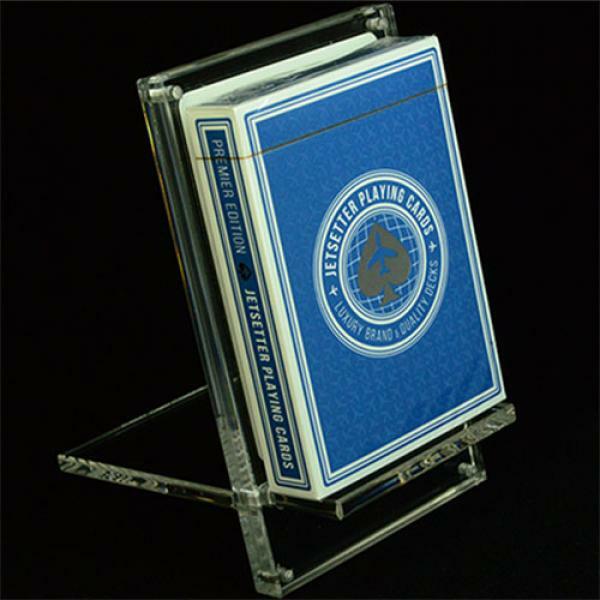 The Carat XDS Single Card Display Deck Stand elegantly displays your favorite playing card while keeping it protected from potential damage or harm. The Carat XDS also can be used as a deck stand to show off your favorite deck, or to keep your current working deck at ready access. 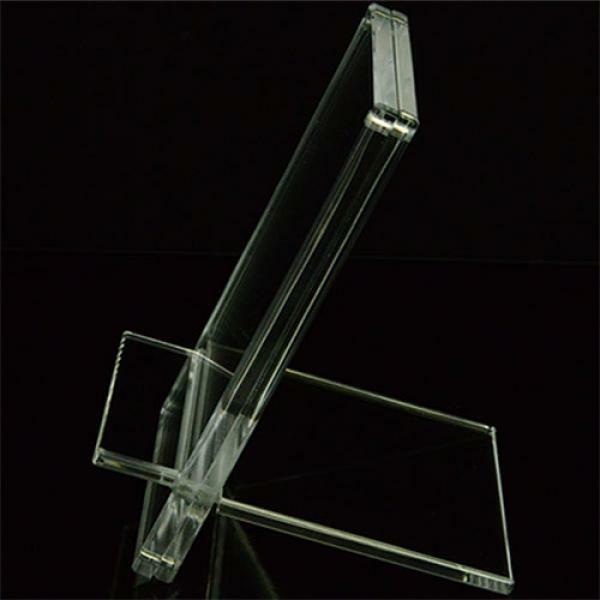 The Carat XDS is made of two main components, the display and the base panels. 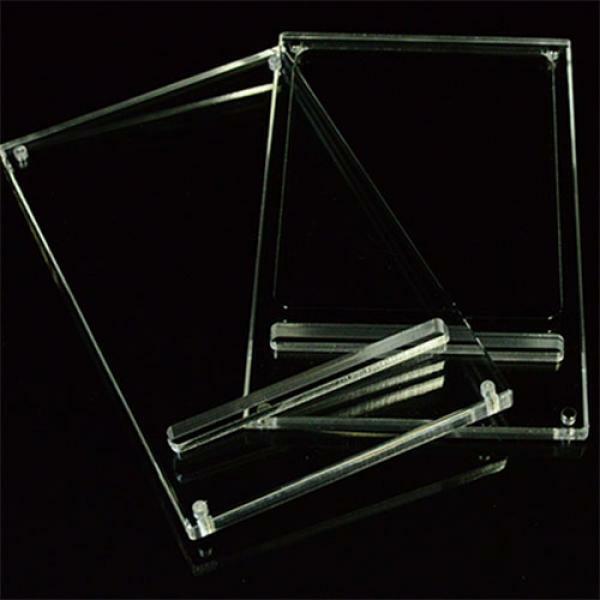 These are easily assembled and disassembled, allowing for easy storage and portability. 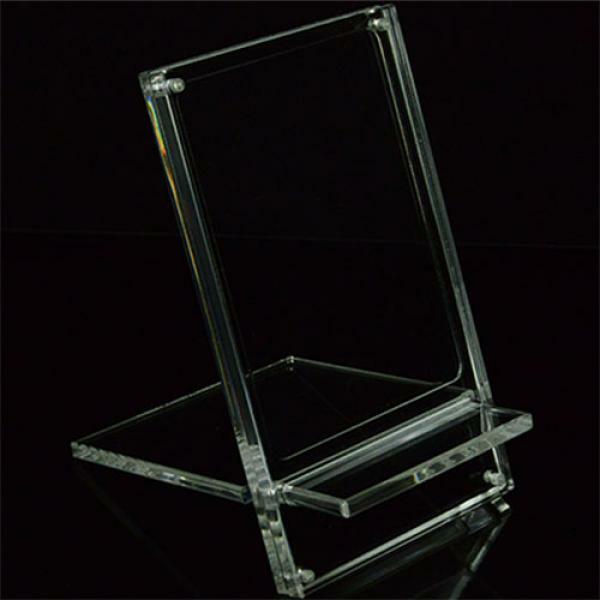 The display panel is made up of two pieces of clear archival quality acrylic attached by 4 neodymium magnet pairs, which provide a strong bond while still allowing for easy access to the card inside. 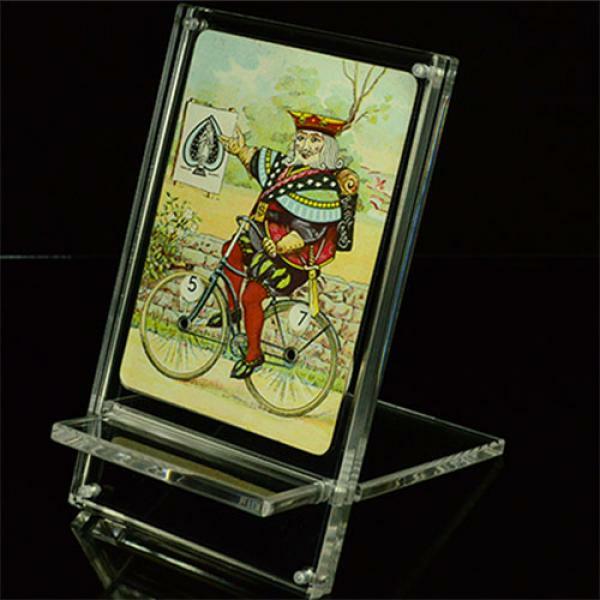 The back piece of the display panel has a cutout the shape of a poker-sized playing card so that your card is easily centered in the display. There is also some space between the two pieces, reducing the risk of damage to your precious card. 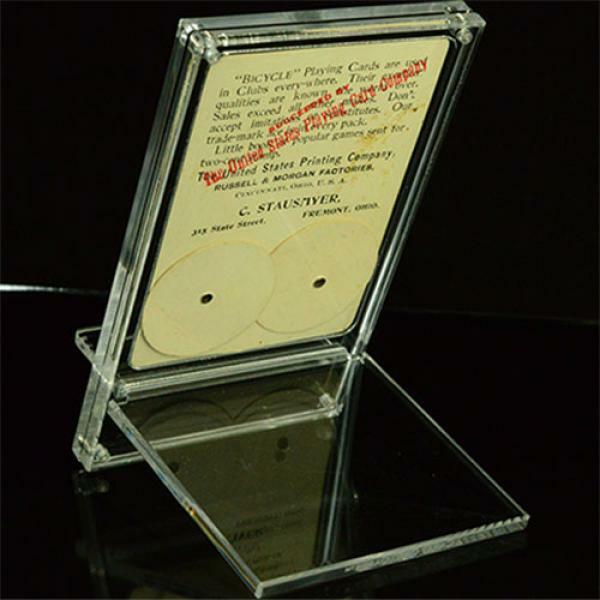 Please note that the cutout is only 1mm deep, so cards thicker than 1mm may still be squeezed by the two pieces. In addition, there is a shelf to place a deck in the front of the display panel.